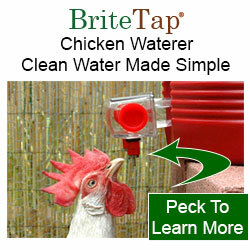 So What Exactly is a Bantam? Bantams, or "Bantys" as they are affectionately called, are small chickens that weigh between 1 and 2.5 lbs., or about 20-30% of the weight of a typical standard sized chicken. True Bantams - These are breeds that are naturally small chickens with counterpart that is standard sized. 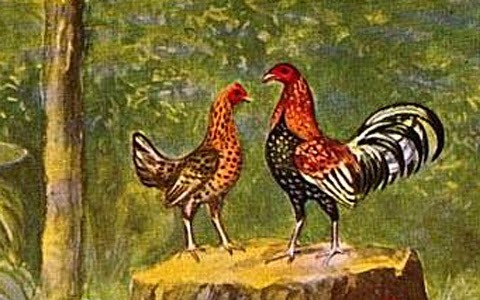 True bantams include breeds such as the Sebright and Silkie. Miniatures - These are chickens that have been made smaller by selective breeding and exist in both their natural "standard" size as well as in a miniature version. Miniatures are physically smaller and weigh less than standard breeds. (see the table at the end of this article that compares bantam and standard sized birds by breed) However, they are not proportionately smaller. 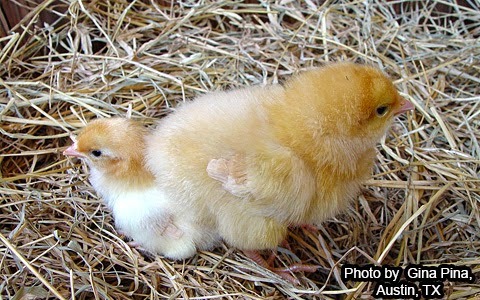 Miniature breeds have larger heads, tails, feathers and eggs than if they were perfectly miniatures. 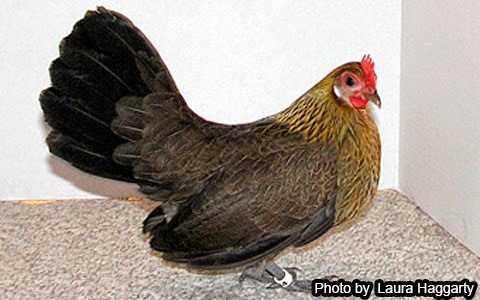 Almost all breeds have been miniaturized with only a few exceptions such as the Marans and Barnevelder. While it may be more technically correct to call these breeds "miniatures," they are also commonly referred to as bantams. As mentioned above, true bantams have genes in their DNA that naturally limits their body size. 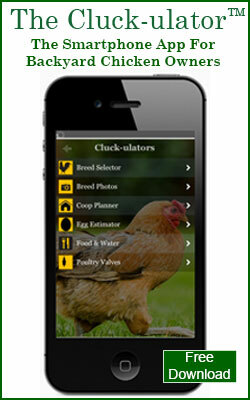 To create a miniatures from standard sized poultry, breeders mated standard and bantam varieties. The resulting off spring inherited the dominant gene for smaller size. In practice, the process was more complicated and involved multiple crosses and sometimes multiple breeds. For example, the bantam version of the Rhode Island Red was created by mixing the genes from standard Rhode Island Reds with other natural and derived bantams including: old English Game bantams, Cochin bantams and Wyandotte bantams. The resulting breed was smaller, but still maintained some undesired characteristics inherited from the Cochin line including fluffy wide feathers. Subsequent breedings between this breed and naturally smaller standard Rhode Island Reds, eventually produced a miniature bird that looked like a Rhode Island Red. This miniature could be bred with itself and still produce offspring that were reminiscent of standard Rhode Island Reds. In other words, the breed was both smaller and standardized as a result of a complex set of breedings. Beauty & Cuteness - True bantams are among the most beautiful of chicken breeds. 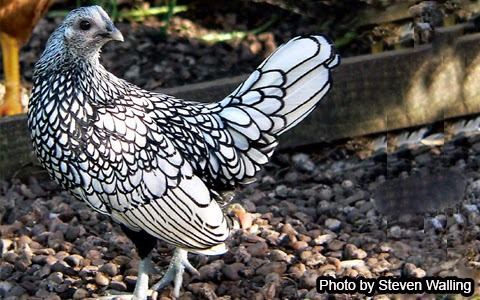 It's easy to see why poultry enthusiasts fell in love birds like the Sebright that sport lovely laced plumage. Miniatures by contrast, are appealing primarily because of their petite size; there's just something darling about small chickens. Eggs -True bantams are often ornamental breeds with little value as layers or meat producers. Miniatures, however, can be reasonably good egg producers. Although, eggs from Miniatures are also smaller -- 30% to 50% of the size of the eggs produced by their standard sized cousins. 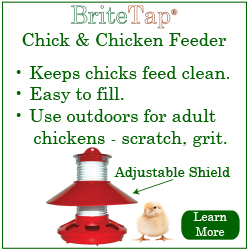 Space & Feed - Bantams require less coop and run space so they are good choices for urban families that want to keep chickens in tight quarters. Family Pets- Because they are smaller, miniatures can be a good choice as a family pet. They provide eggs for the table and are easy for kids to handle. Many young 4-H participants choose either bantams or miniatures because they are easier to handle when showing in competition. Predators - Bantams and miniatures are more likely to be the targets of predators because of their small size. Escape Artists - Bantams and miniatures are better able to take to the air than a standard sized chicken. Owners need to take precautions with their flocks or they may find them leaping over fences into a neighbors yard.